SM Center Lemery's First Ever 3 Day Sale Plus More! We're hearing voices shouting, TGIP! "Thank God it's Payday!". 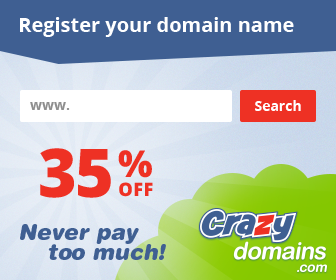 Have you planned on how to spend your hard earned money this weekend? Stop dilly-dallying. 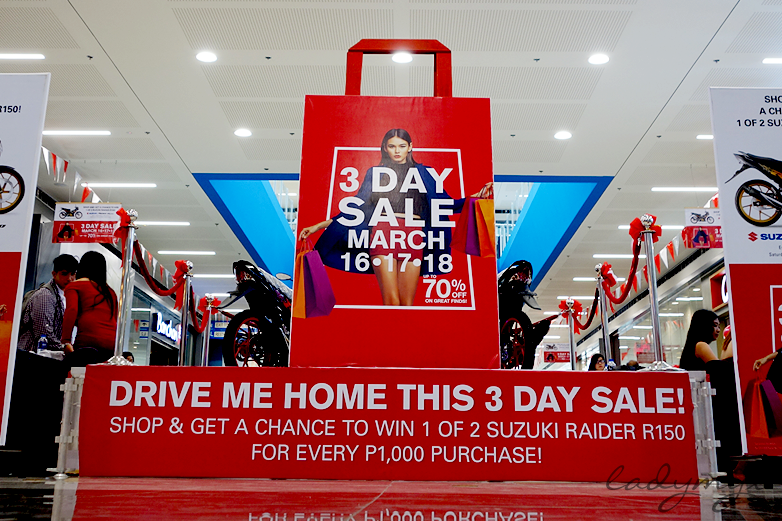 SM Center Lemery holds its very first mall-wide 3-day sale on March 16, 17 and 18 with great finds up to 70% off! You can also enjoy additional 10% off exclusively with your SM Advantage and BDO Rewards card on selected hours from Friday to Sunday. 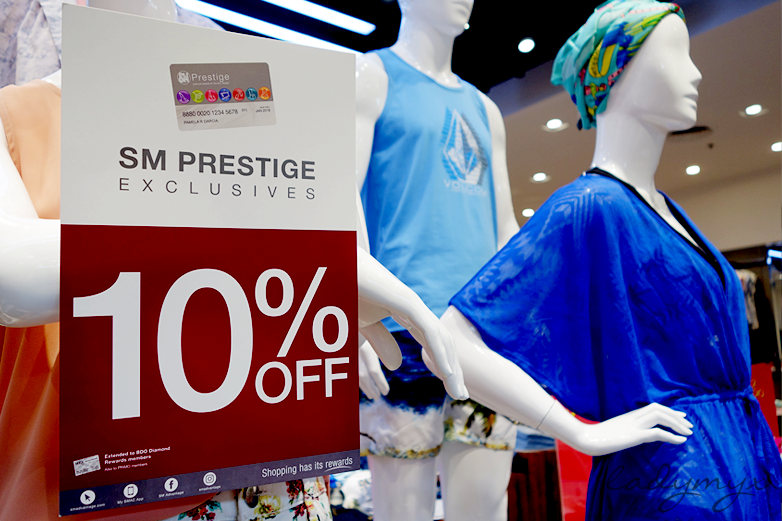 There is an additional 10% off on all items for prestige and diamond card holders today, March 16, Friday. On March 17, Saturday, enjoy an extra 10% off on all items for SMAC (SM Advantage Card) holders. 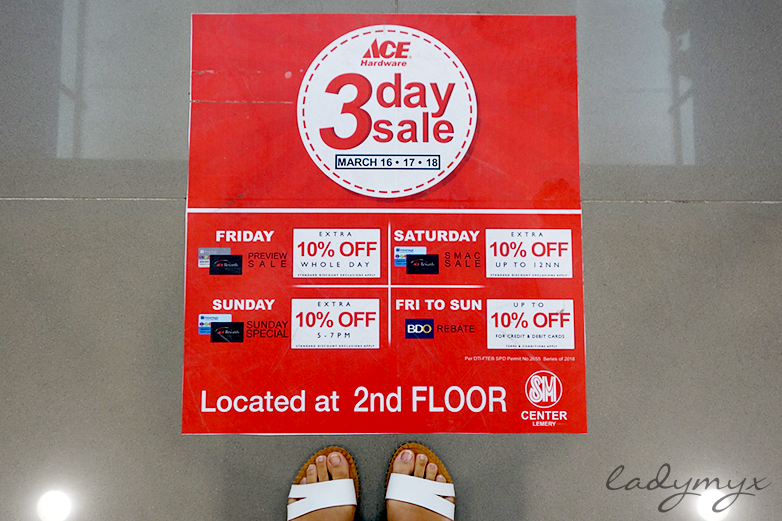 And on March 18, Sunday, an extra 10% off on all items for SMAC card holders in their participating stores (Ace Hardware, Surplus Shop, Simply Shoes, SM Appliance, Miniso and Watsons). 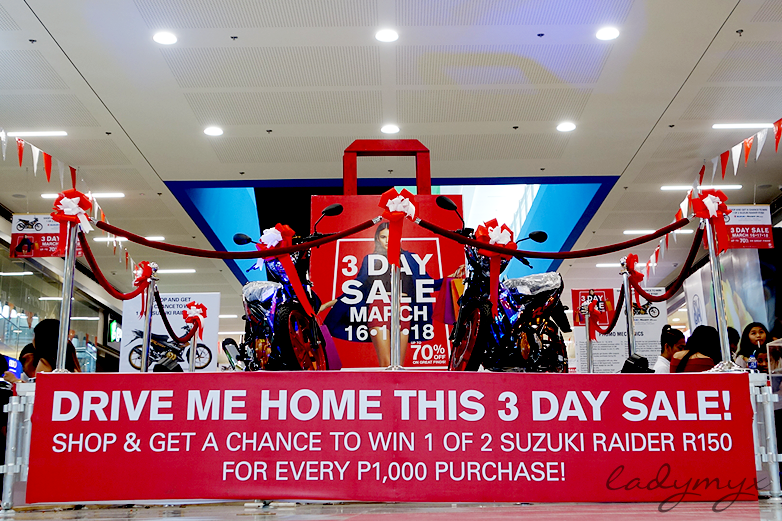 You can also get a chance to win yourself a brand new Suzuki Raider R150 for every Php1000 single receipt purchase. 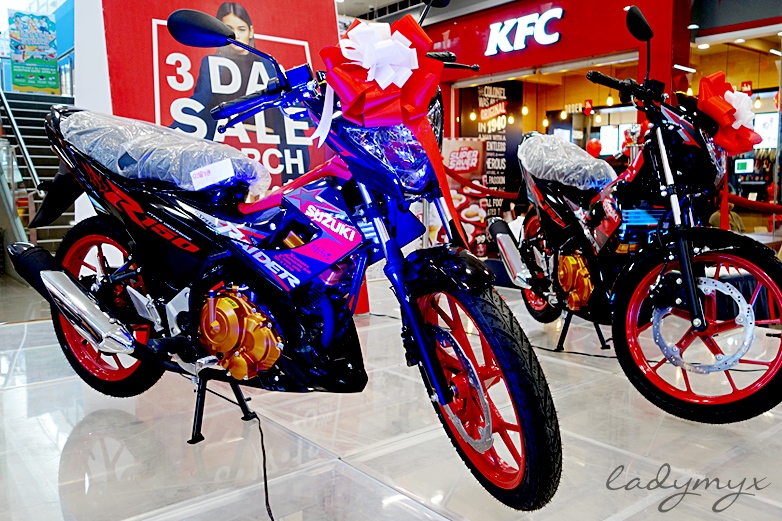 Who would not want to win this nation's top-class sporty underbone motorcycle, the leader of the pack? And it's not just that! On March 17, Saturday, from 3pm to 6pm, and on March 18, Sunday, from 1pm to 4pm, a minimum purchase single-receipt of Php5000 from any participating store entitles the customer to join Scan & Win Promo. 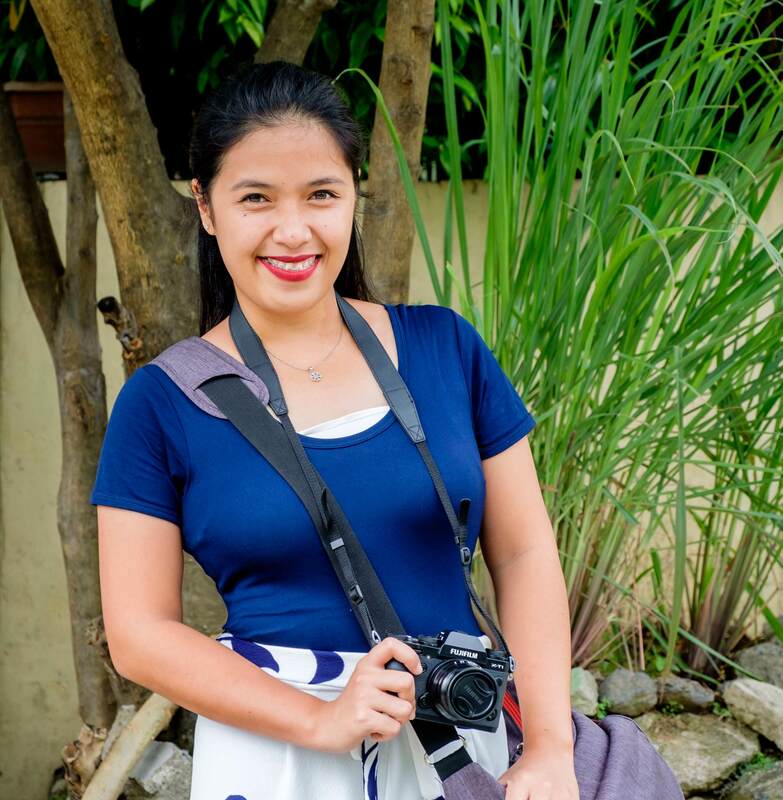 If a customer luckily gets the four letters S, A, L and E on the instances that he scans four codes, he wins Php5000 worth of SM shopping spree. 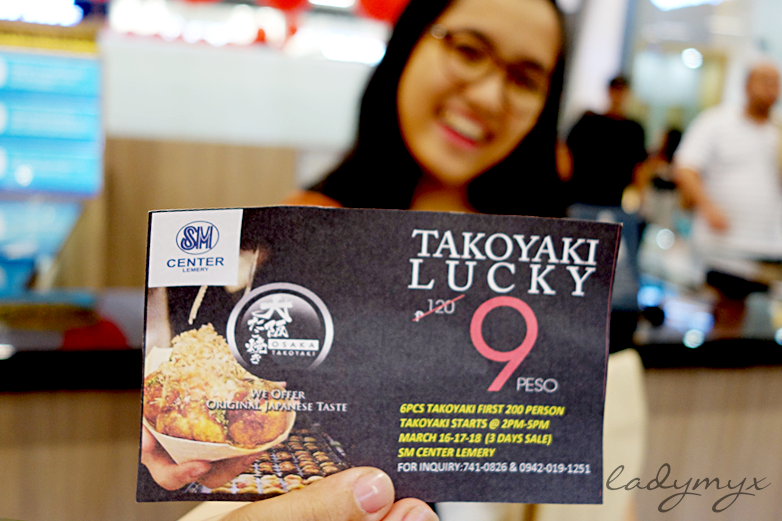 And while you're in the middle of your shopping, stop by at Osaka Takoyaki from 2pm to 5pm to have 6 pieces takoyaki for only Php9! 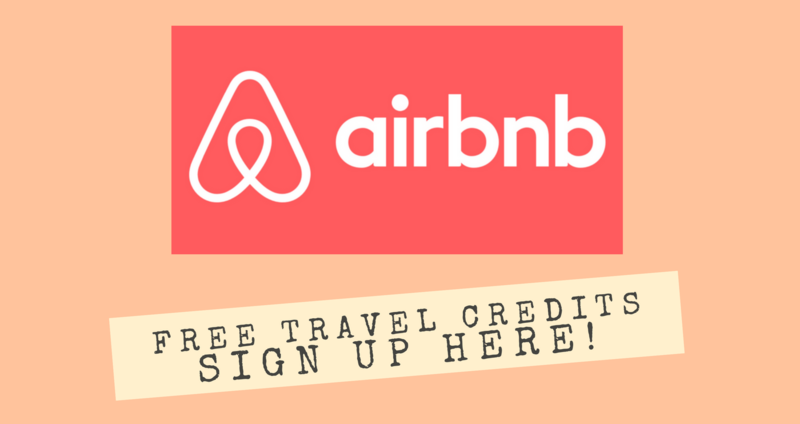 No reason not to join the fun! 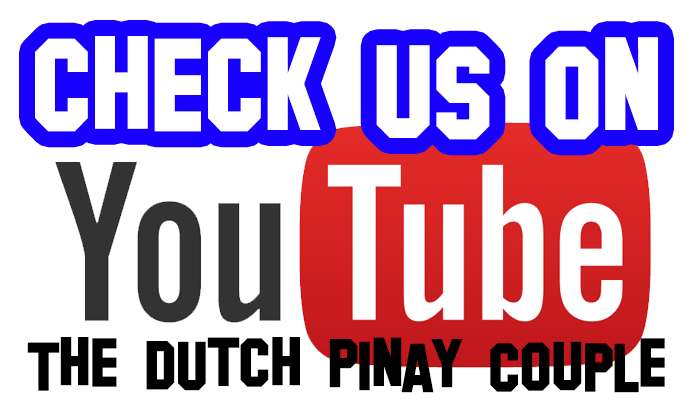 For more information, you can visit their FB page at https://www.facebook.com/smcenterlemery/.